Fameguy had the most liked content! for startes id recommend getting the real names of the Pointers and offsets. 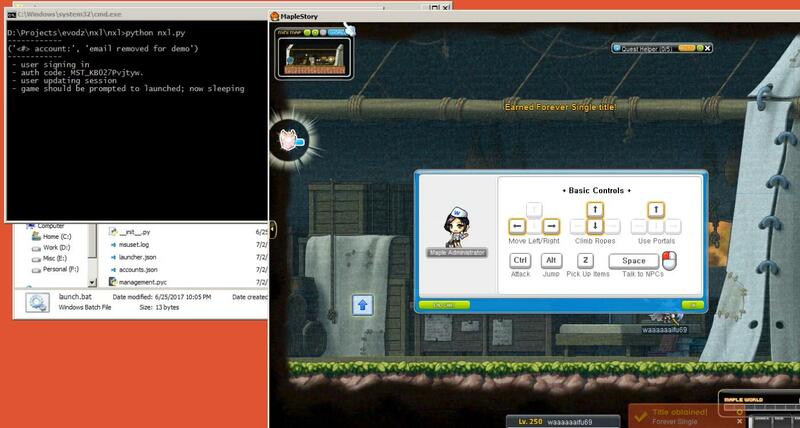 In that note i would download maplestory's pdb file. Keep in mind you would need to install IDA to use this. The PDB file can be found in ragezone iirc, or maybe someone posted it here, iirc exekiel released his, anyways. Once u have the ida file running and u know the actual names of the pointers, i would search for them in the pdb and create new Aobs. I can help out if ud like. Header only gets sent because that is all ur doing... push 013F // Unencrypted header here lea ecx,[SPacket] call 009F2C90 // COutPacket::COutPacket(long) mov ecx,[02C73578] // CClientSocketPtr: 8B 0D ? ? ? ? 85 C9 74 ? 8D ? ? 50 E8 ? ? ? ? 8D ? ? E8 push SPacket push 014942B4 // Search for 90 C3 for fake return address jmp 00E20700 // CClientSocket::SendPacket: Follow call below CClientSocketPtr if you want to add the rest of the packet, then u need to use Encode2, Encode4, etc. Question How do people find AoB for certain scripts? I never stated you didnt, its simple to get, dont know if you are trying to start an argument or if that you are too cocky, anyways i was simply sharing for those that dont have the knowledge to do so. thanks for pointing this out, will fix it Edit: I am retarted, i actually had it that way, i have no idea what i was thinking lol!